Necklaces designed and may be made with semi precious beads, glass, metal beads, various wires and chains. Beaded bracelets may be designed and made with semi precious beads or stones, crystals or chains or leather. Copper items are hand formed, hammered, some etched. 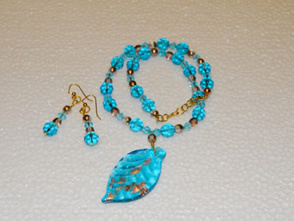 Includes necklaces and bracelets with copper, semi precious stones, beads, various wires or chains. Crosses may be accented with beads, hand formed with wire, accented with cords, chains or wire. Semi precious stones wrapped with various types of wire. Unique hand formed necklaces, bracelets, earrings with various metals. 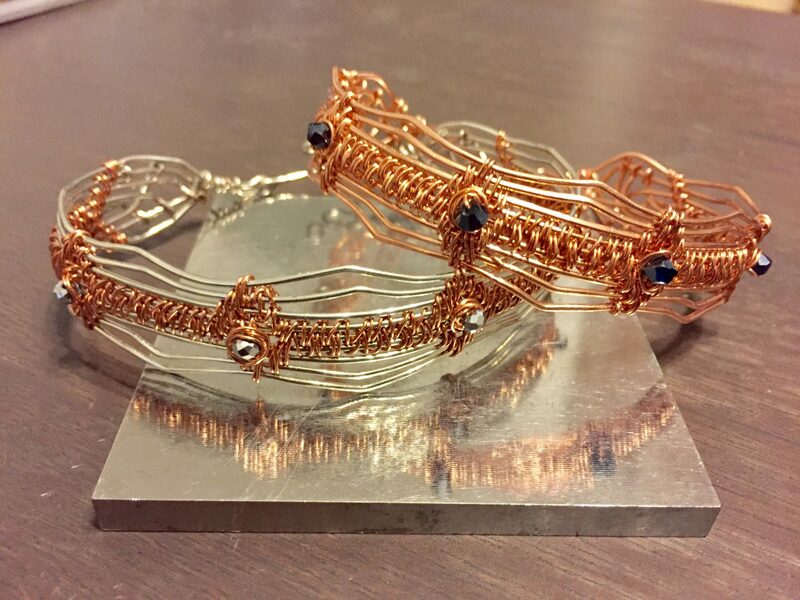 Using wire or sheets of metal to create these free formed jewelry pieces, then adding stones, crystals or stamping to these unique items. I created jewelry for birthdays and gifts for family and friends but started selling my jewelry in 2009. Come visit one of our shows and do your Holiday shopping with us. Please send an email or call to order photos as prints/photos note cards. The jewelry pictured in this site is available for purchase by Name or code number by sending an email or call to order. My jewelry is all handmade with glass beads, stones, ceramic beads, and metals like copper, sterling etc. Necklaces (normally 16 to 20 “), earrings (post or ear wire) , bracelets (7, 7 1/2 “) are basic sizes but can be created in various sizes. Items pictured may be available for purchase if in stock, but can be created in various colors by order requests. Please let me know if there are any special occasion orders for birthdays, Mother’s Day, Christmas, weddings etc. that may require extra time for creation and shipping. 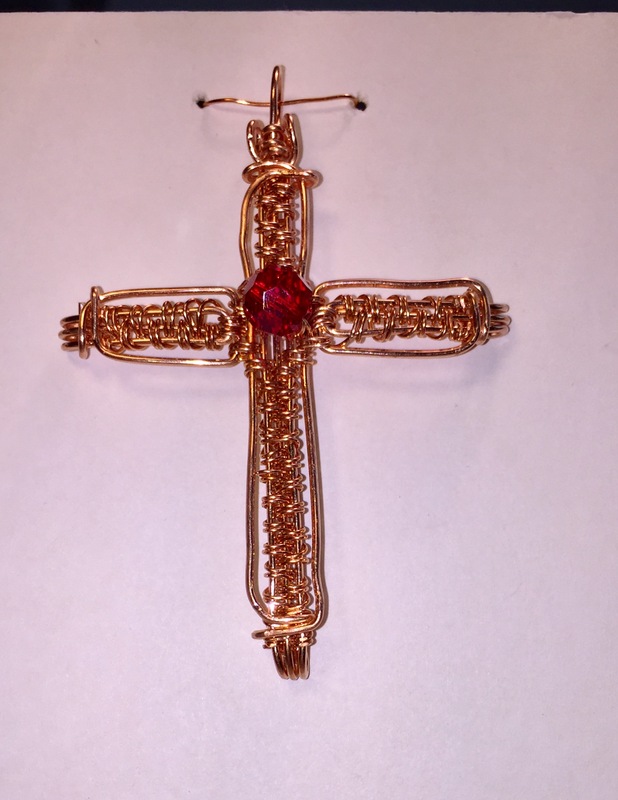 **2018 – Been creating new jewelry items- Tree of Life Pendants & Copper Bracelets, NEW WIRE WEAVING BRACELETS AND CROSSES. Come see them at one of our shows. All prints are original prints photographed by Gene on our various trips throughout the United States and Europe. He professionally edits them if needed. The prints are done in various sizes, matted, and can be printed on canvas or metal. Prices will be determined depending on size and material used. Look through the photo gallery for beautiful eagles, barns, flowers, nature, and wildlife. The gallery is a small rendering of his many pictures. If there is something special you are looking for, or need something you don’t see in his gallery, please contact us… we will check our private gallery. Gene will then post it to his gallery, you can check it out, then decide on what size to order. Photographs can be printed in various sizes, matted, or various mediums as mentioned above. He also has Photo note cards (with original prints) which are blank on the inside for your special thoughts to someone. **2018 – New in home Photo Studio – Contact Gene for a Photo sitting, or Photo Shoot in area. Upcoming Photos- Bluebonnets, Great Egrets, Texas Landscapes. NEW Eagle shots from 2018 trip to Iowa, and new Santa Fe, NM and White Sands National Monument photos – JUNE 2018 TRIP. ***Our recent trip to Ohio, Gene found interesting barns (16 sided barn- all hand built in early 1900) and a very interesting old town of Zoar. COME VISIT US AT ONE OF OUR SHOWS!! SEE ALL OUR NEW PRINTS AND NEW JEWELRY ITEMS. 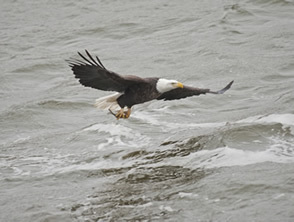 GENE HAS SOME OUTSTANDING EAGLE PHOTOGRAPHS – SOME NEW ON METAL!! Looking forward to seeing or hearing from you. OUR IOWA FRIENDS: YOU CAN STILL ORDER OUR PRODUCTS AND WE WILL SHIP. PLEASE CONTACT US BY CALLING OR BY EMAIL. CHECK OUR WEB OFTEN SINCE WE WILL BE LOOKING FOR SHOWS TO ATTEND!!! 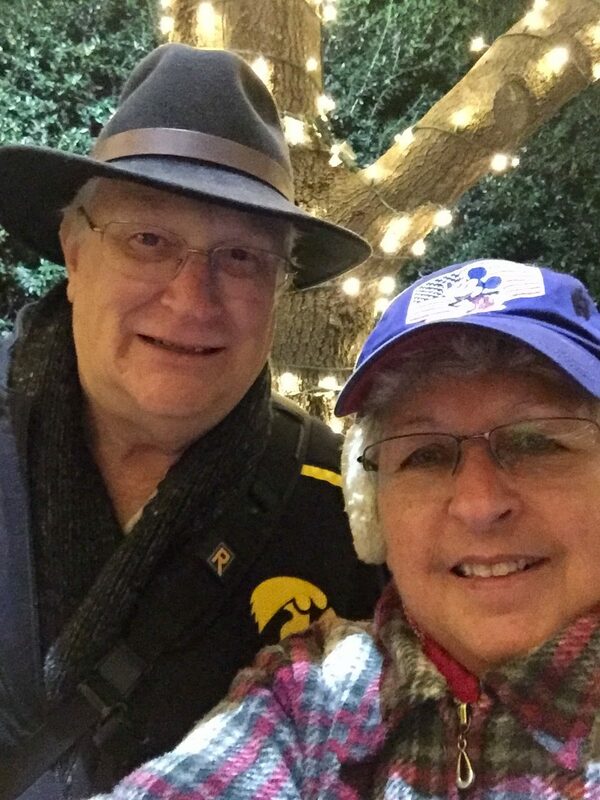 IN TEXAS…..